My three children are ages 6, 7 and 8 and love to play games. Whenever they receive a new game at the holidays it is always one of the most played with gifts throughout the entire year. Wonder Forge has a great selection of games that would make perfect holiday gift ideas including Disney Doc McStuffins All Better! Game, Jake and the Never Land Pirates Shipwreck Beach Treasure Hunt Game, Sofia the First Magical Tea Time Game, Nickelodeon Teenage Mutant Ninja Turtles Flying Attack Skill and Action Game and Justice League Axis of Villains Strategy Game. I appreciate that Wonder Forge offers high quality, fun games for a variety of age groups so their games will be appealing to a wide audience of girls and boys. 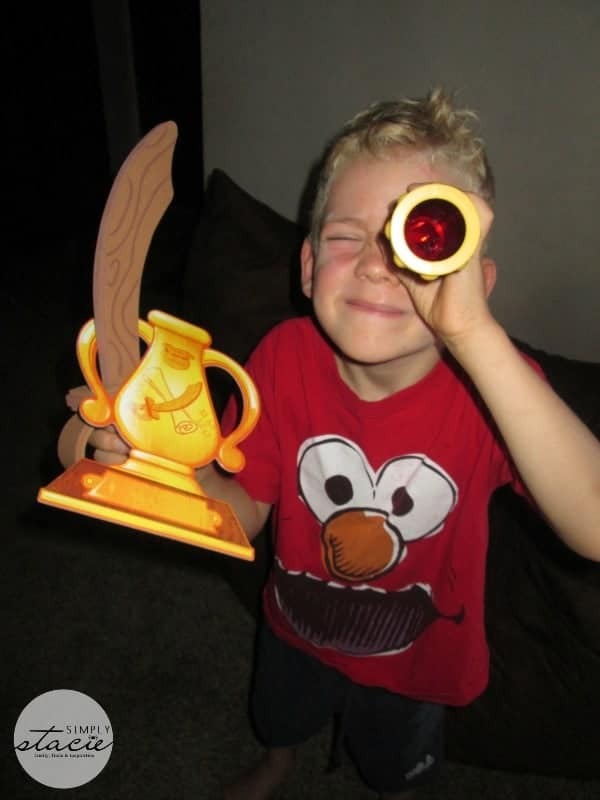 My six year old son, Jacob loves playing Jake and the Never Land Pirates Shipwreck Beach Treasure Hunt Game (SRP $24.99). Exclusively available at Walmart, this game is perfect for adventure loving kids ages 3 and up and features favorite Disney characters from the popular show, Jake and the Never Land Pirates. Jacob and his siblings had a blast discovering clues and finding the treasure using game pieces such as doubloons, Jake’s spyglass decoder to see hidden pictures (my kids LOVE this feature), a treasure map that brilliantly doubles as a storage bag when the game is not in play and a sand timer. The kids love playing this game as they race around to find the treasure using Jake’s sword to carry it back to home base before time is up. There are 5 treasures and unique challenges so the game play is always interesting and exciting keeping the kids engaged during game play. 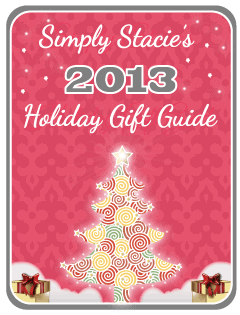 This is a fun game that can be played indoors keeping kids active during the winter months. My daughter, Hannah is a huge fan of the Disney character, Doc McStuffins so I knew she would love the Disney Doc McStuffins All Better! Role Playing Game ($24.97- Walmart Exclusive). Proving that friendship is always the best medicine, Hannah and her brothers (and stuffed animals) had a blast playing doctor while putting on bandages (slap bracelets) and using the tools to fix the ouchies. The children who fixes the most boo boos is the winner. I love that this can be played as an actual game by following the instructions and it can also be enjoyed as a role playing game for independent, imaginative play. 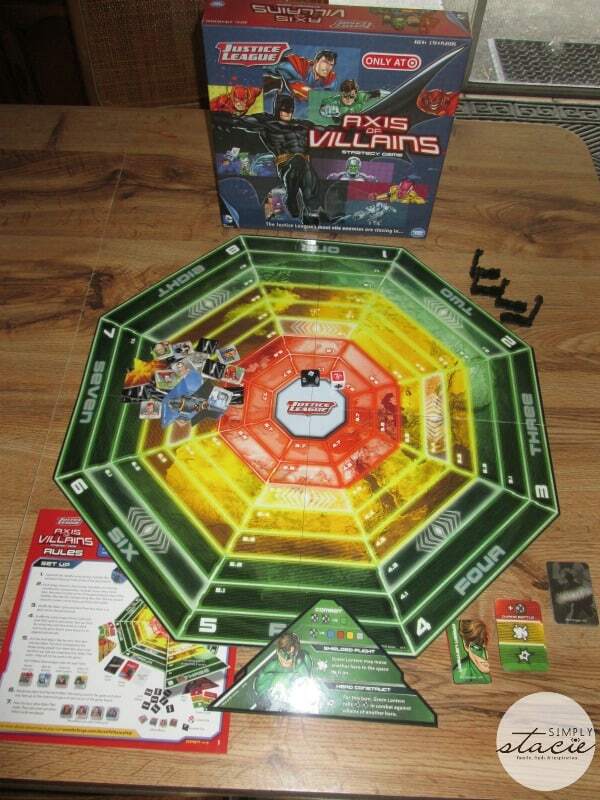 While shopping at Target, check out the Justice League Axis of Villains Strategy Game which is perfect for all young Justice League fans ages 8 and up. My oldest son had fun playing this game with his pals as they strategized to defeat the evil villains while playing as their favorite characters such as Superman, Batman, Green Lantern or Flash. The action figures, game cards and pieces are very appealing to young boys (and girls) who are learning to play more complex games that are not too difficult for their age group. I noticed a great deal on this game at Target where it was on a temporary price cut to $20 from the SRP of $24….hurry to see if it is still available as this is a wonderful gift idea! Wonder Forge award-winning games are high quality, fun and attractively priced in a variety of price points. You are invited to visit Wonder Forge to browse the entire selection of new games and find a purchasing location near you or at an online retailer……..which one would your children love to open up this year?! The Doc McStuffin’s All Better Game looks fun. My daughter would love the Doc McStuffins game. I think the Mythbusters™ – The Game looks like fun. Thank you for the wonderful giveaway! Green Eggs and Ham Speedy Diner!™ Game looks fun. My kids would play Who Shook The Hook? My kids would love the Doc Mcstuffins game. My children would love to play with the Eye Found It! Game. TMNT Flying Attack game, my son would love that! She’d like the Angelina Ballerina Dance With Me Game. Thanks. My kids would love the eye found it game! My son would love the What’s in the Cat’s Hat? game! My boys would love the Teenage Mutant Ninja Turtles Flying Attack Game. Thanks! The TMNT Flying Attack Game. My kids would love to play with Teenage Mutant Ninja Turtle Flying Attack Game. We’d like to try the Who Shook Hook game. We’d love the Eye Found It Disney game! I think my daughter would like the Disney Princess Enchanted Cupcake game. I’d also like the One Fish, Two Fish, Red Fish, Blue Fish Memory Game! My son would love to play the planes matching game! I also like Eye Found It. My kids would like the Curious George matching game. Who shook hook? game looks like good for my son. I also like the enchanted cupcake party game for my daughter. both of my boys would love the TMNT Flying Attack! They would like Who Shook Hook! I liked the Mickey Mouse Suprise Slides. I would love the eye found it game!